What Is Jaguar Media Solutions? — Powerful and creative solutions that make your life easier. ... Julie Anne Gniadek began her career as a bilingual editor in publishing. In addition to working full time, she began working as a freelancer editor and writer on the side. In less than 6 months, her client base grew from what started as nothing. To her surprise, Julie realized that there was a demand for someone with her skills. Then, in January 2011, J. H. Language Solutions was born. J. H. Language Solutions has evolved exponentially since 2011. Beginning as a sole proprietorship, owner and founder, Julie Anne focused on working with self-published authors, small businesses, and individual clients to edit, proof, and improve their manuscripts, and marketing and educational materials. As a bilingual editor and an experienced localization project manager, Julie also managed and coordinated translation projects. Then, during the dawn of the digital marketing era that we have all come to know and love today, Julie began focusing more on copy writing, blogging, and content management for a handful of small businesses. Although relatively small, this consistent and demanding workload was able to give her the experience she needed to power J. H. Language Solutions to where it is today. In September 2017, J. H. Language Solutions became Jaguar Media Solutions and Consulting, Inc.
Julie still currently oversees and manages all facets of the business today. What Does Jaguar Media Do Again? Today, Jaguar Media (J. H. Language Solutions), with their small team of marketing experts and content writers, now serves more than 50 individual solo-preneurs, startups, and small and medium-sized businesses all over the world. Jaguar Media Solutions now specializes in content marketing, copy writing services, email marketing services, social media management, project management, building marketing campaigns and a number of other professional marketing services for individual brands and small startup businesses. 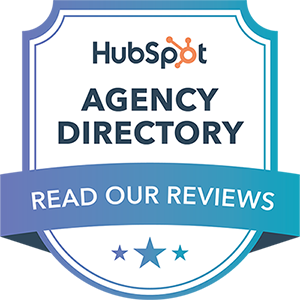 What Makes Us Different from Other Marketing Agencies? Jaguar Media is different than other marketing agencies because, well, we don't like to consider ourselves a marketing agency. We've seen too many clients who have previously worked with marketing agencies and paid them a small fortune for little to no results. Although we have helped numerous clients with their marketing strategies and building marketing campaigns, our main focus is high quality content and performance. From content writing to executing large-scale digital marketing strategies, we believe in working with our clients to build a plan that not only works for them, but that works. Period. To learn more about Jaguar Media Solutions, talk to us for free today. Be sure to also follow us on social media and check out our blog to stay in touch.